By the end of the year, Chinese Vice President Xi Jingping, who visits the United States this week, will have been installed as China's President. As the era of Xi's rule begins, President Obama, Vice President Biden, and other top Administration officials should tell him directly that America's historic commitment to human rights cannot be reconciled with China's ongoing war against Uighurs, Tibetans, Christians, members of the Falun Gong and the general dissident community. The character of one-party rule in China is every bit as brutal as those regimes in the Middle East, like Syria and Iran, with whom the U.S. is at loggerheads. Yet trade and security issues have overshadowed human rights concerns in American dealings with China. Hence, Xi's arrival in this country is an unprecedented opportunity for the United States to press the reset button on its relationship with China, by placing a new emphasis on human rights. Integral to such a policy is an explicit declaration that China's savage treatment of its minorities -- like the Tibetans, and like my own people, the Uighurs, who live in East Turkestan, in the north-west of the country -- can no longer be tolerated in a civilized world. In the case of the Uighurs, a nation whose religion is overwhelmingly Muslim, China has cynically portrayed us as terrorists, equating our demand for self-rule with the extremist ideology embodied by the 9/11 atrocities. Therefore, in their talks with Vice President Xi, President Obama and his colleagues should be clear that the democratic world will judge China not by the dynamism of its economy, but by its record on human rights. 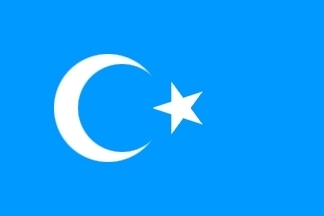 Only America, as the foremost defender of human rights, can compel China to understand that in the democratic world, public solidarity will naturally gravitate to the Uighurs, in much the same way as it has to the Tibetans. When it comes to immediate policy, the first insistence of the U.S. should be that Beijing cease pressuring other countries to deport Uighur refugees back to China, where they face lengthy imprisonment and even death. As the Chinese leader most closely associated with this strategy, there is no-one better placed than Vice President Xi to hear this demand. In December 2009, a few months after the Chinese military and police viciously crushed freedom protests in the Uighur region, killing hundreds and wounding thousands more, Xi visited Cambodia and demanded the deportation of 20 Uighur activists who had sought asylum there. Xi's stick was duly followed by a carrot; having intimidated the Cambodian government into deporting the activists, he promptly announced a gift of $1.2 billion in aid. Cambodia is not the only country to have experienced the full force of Chinese pressure upon Uighur refugees. Over the last year, Pakistan, Laos, Burma, Thailand and Kazakhstan -- all of whom are heavily reliant on China for trade and fiscal aid -- have joined the list of states where Uighur refugees have been denied asylum. In August 2011, Malaysia, whose trade with China is valued at over $70 billion per year, sent 11 Uighurs back to China, in the process echoing Chinese propaganda that these individuals were not really refugees, but criminals involved in human trafficking. In the words of a leading official at Human Rights Watch, "Uighurs disappear into a black hole after being deported to China." Today, the situation in Urumqi and other Uighur towns and cities is as grim as ever. One police operation in December was particularly horrific, resulting in the extra-judicial killings of seven Uighurs and the disappearance of a six-year old boy. Away from the receptions and photo opportunities that will mark Xi's visit, the leaders of the United States must make it clear that China's leaders will be held accountable for their actions. It is no longer acceptable for Xi and his cohorts to present their repression of the Uighurs as part of the war on terrorism. Nor is it acceptable for the Chinese authorities to shoot unarmed Tibetan and Uighur protestors without so much as a second thought -- something they have done with increasing frequency since 2008, when the communist regime was shamefully given the honor of hosting the Olympics. As with the Tibetans, our very survival as a people is at stake. China's assault on our language, our culture and our values, as well as its demolition of historic Uighur landmarks like the city of Kashgar, leave little doubt as to its true intentions. Many thousands of our people have paid a high price for resisting Beijing; my own prison term included two years in solitary confinement, and two of my sons have been handed lengthy sentences in retaliation for my advocacy on behalf of my people, one for 9 years and the other for 7 years. All the talk of the Arab Spring painfully reminds us that life for the Uighur people resembles a cruel, endless winter. That is why the United States must use the occasion of Xi's visit to take the lead, and begin the thaw we pray for.